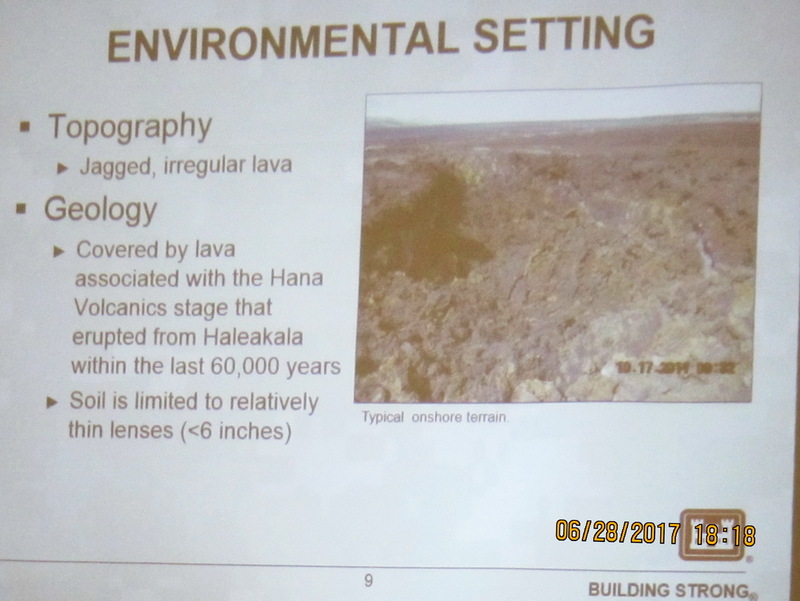 Last evening at Lokalani Middle school in central Kihei a small group of concerned guys from South Maui and beyond assembled at the invitation of the U. S. Army Corps of Engineers (ACE). 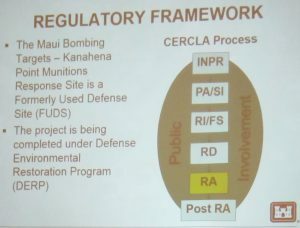 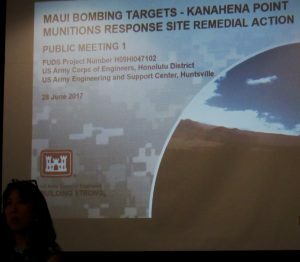 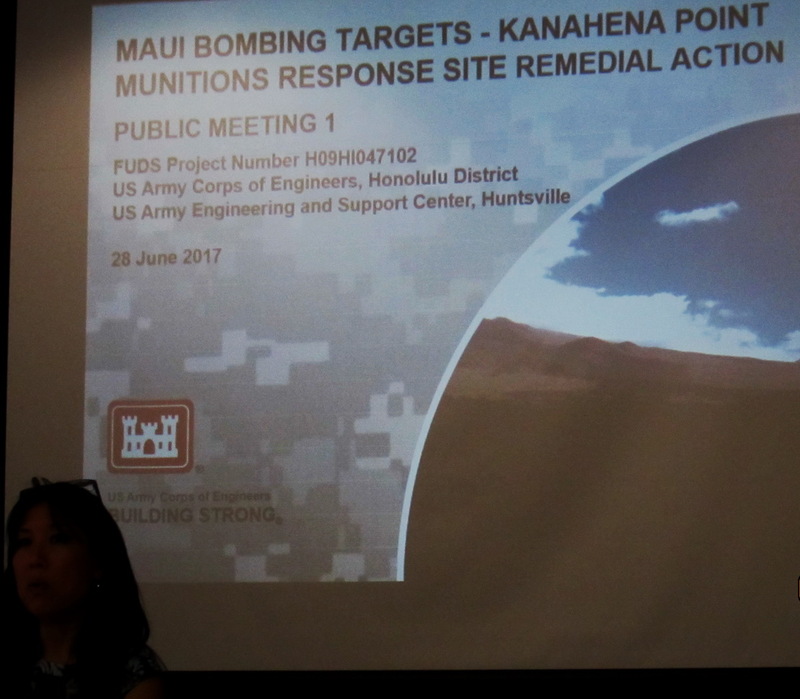 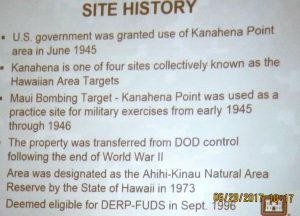 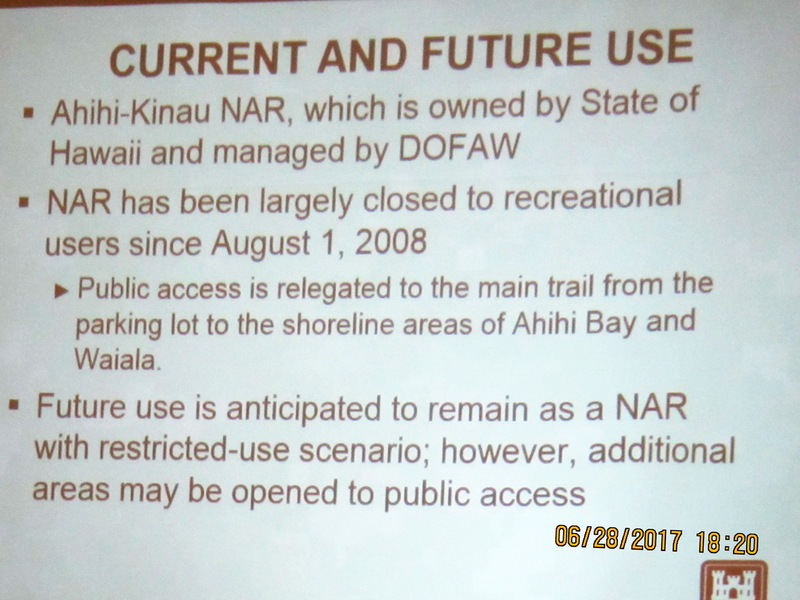 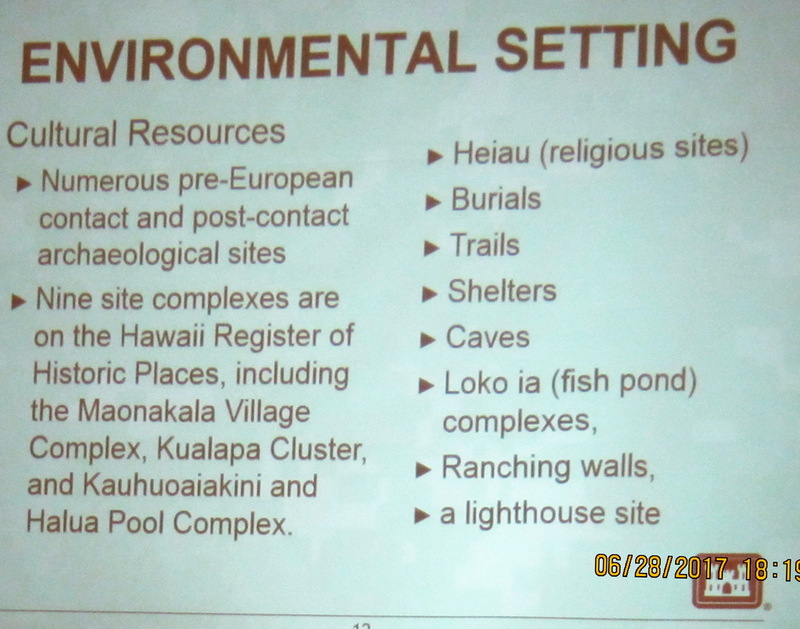 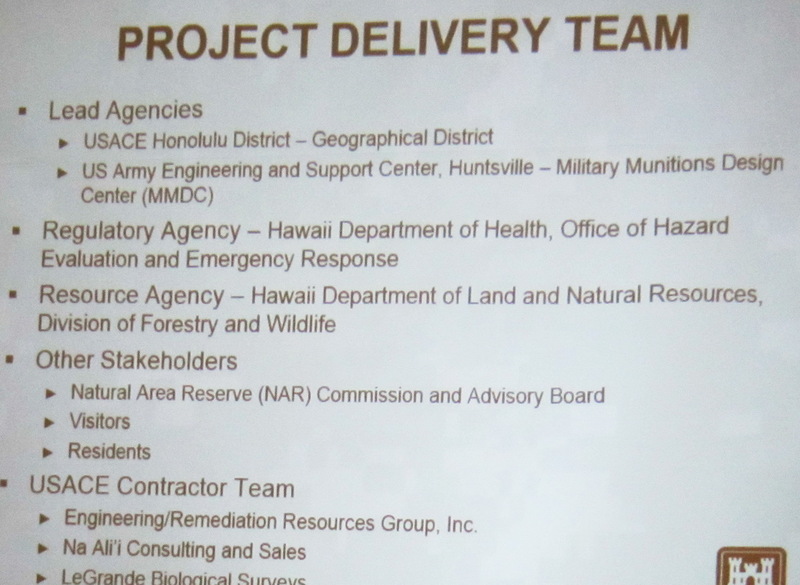 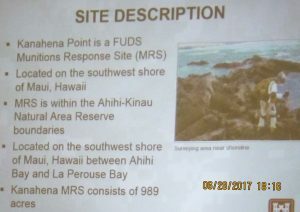 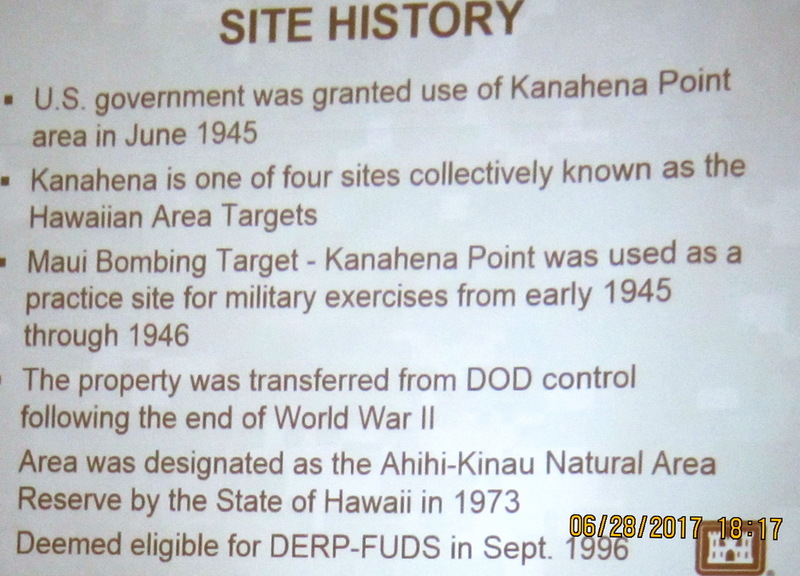 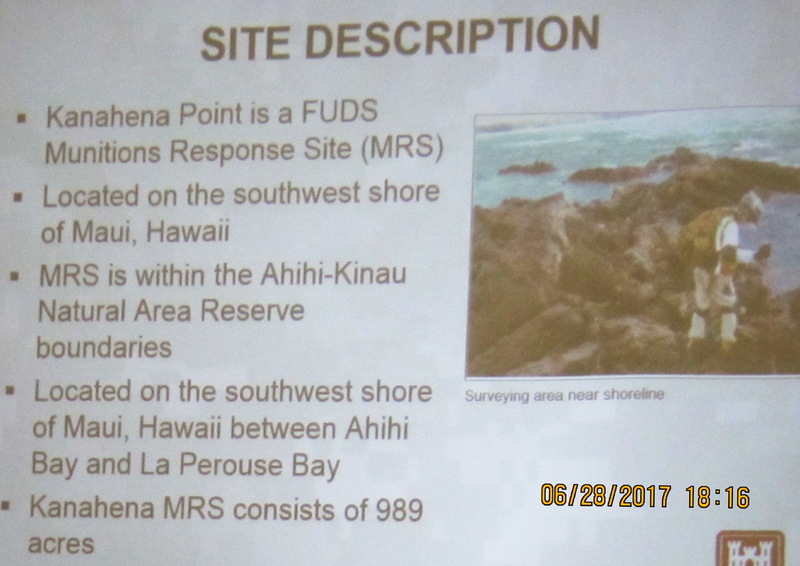 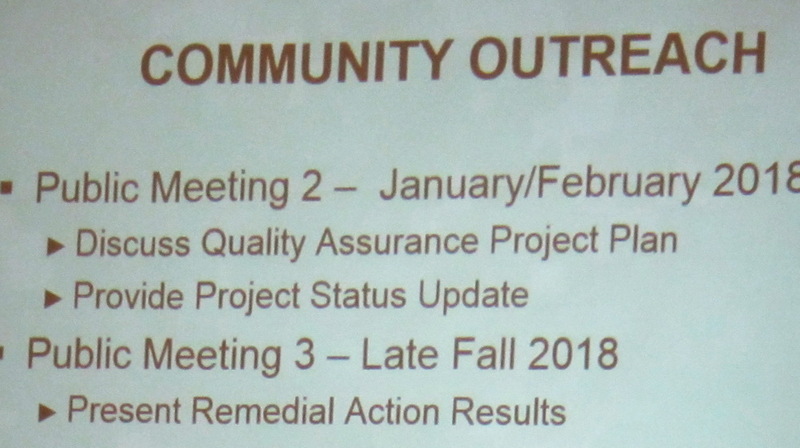 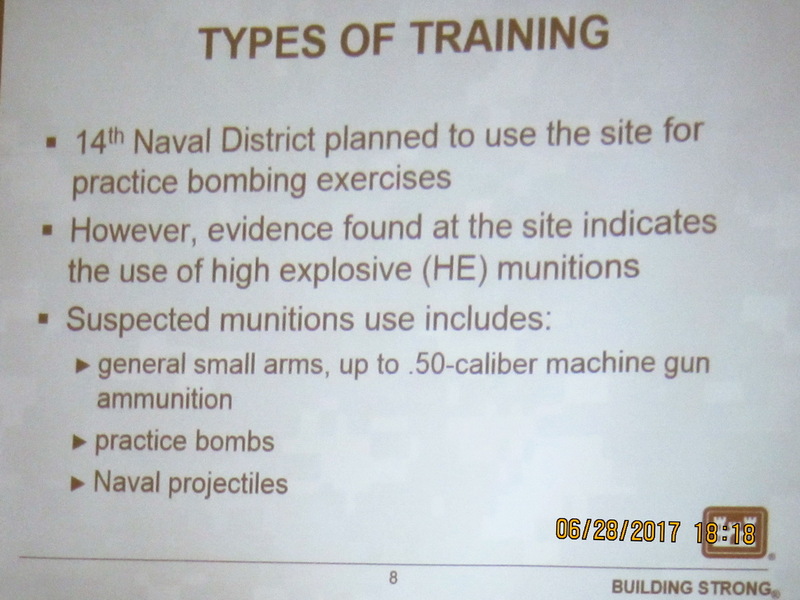 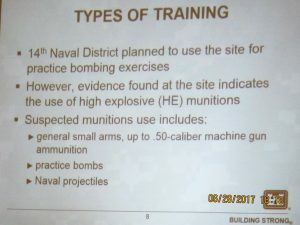 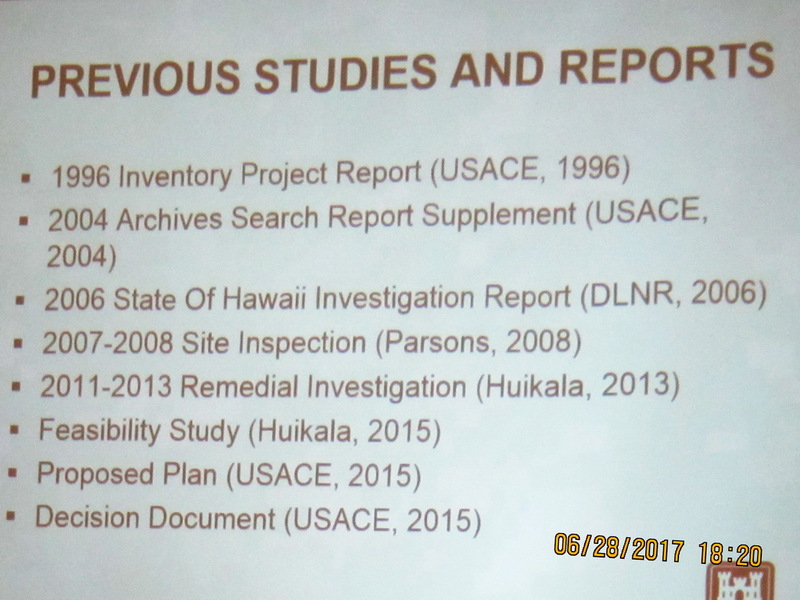 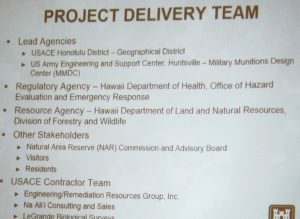 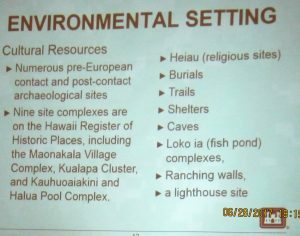 The purpose of the meeting was to explain the remediation project for the piece of land at the south end of our area Ahihi Kina’u Natural Area Reserve where ACE is planning an unexploded ordinance removal later this year and is looking for volunteers – JUST KIDDING about the volunteering. 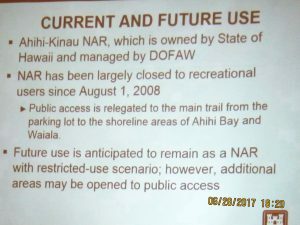 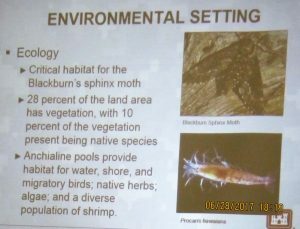 In cooperation with the State DLNR and DOH they revealed the plans for this very long awaited action at this sensitive area. 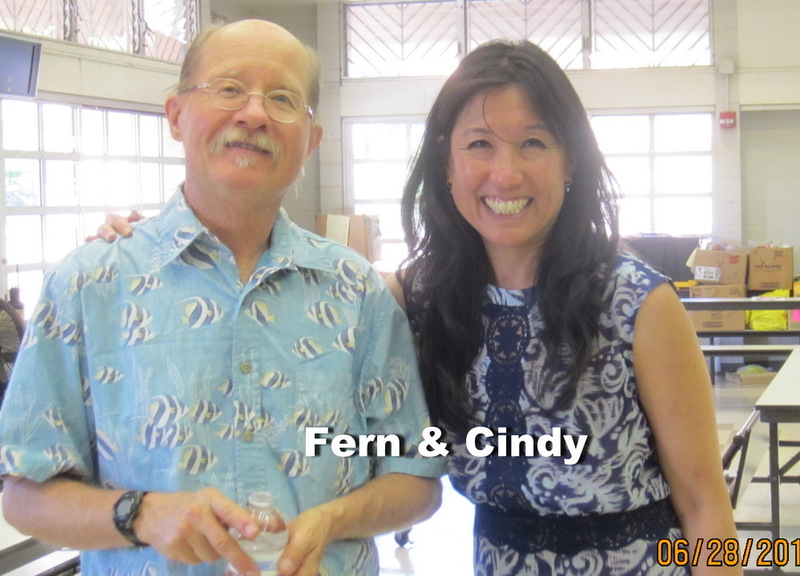 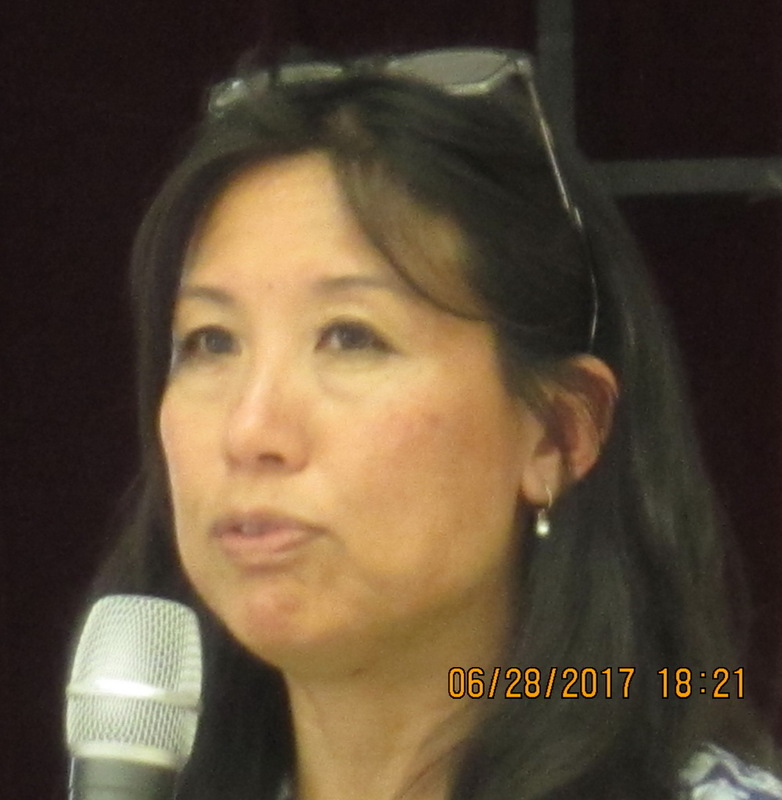 A short but informative slide show was presented by the very pleasant Cindy Liu, President and CEO of EERG, the contractor for ACE. 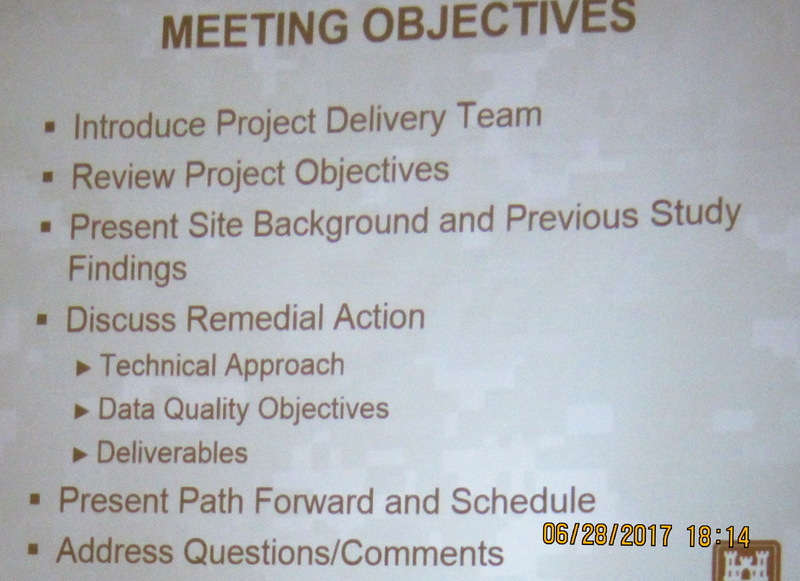 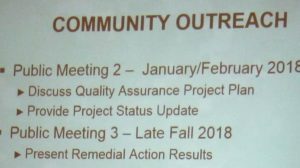 This was an introductory meeting for this stage of the project, with the next meeting planned for early 2018 shortly before the approximately 2 months of actual on site, hands-on work will be conducted. 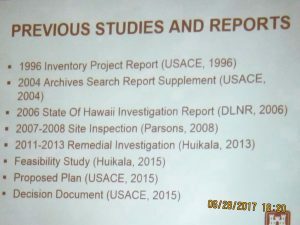 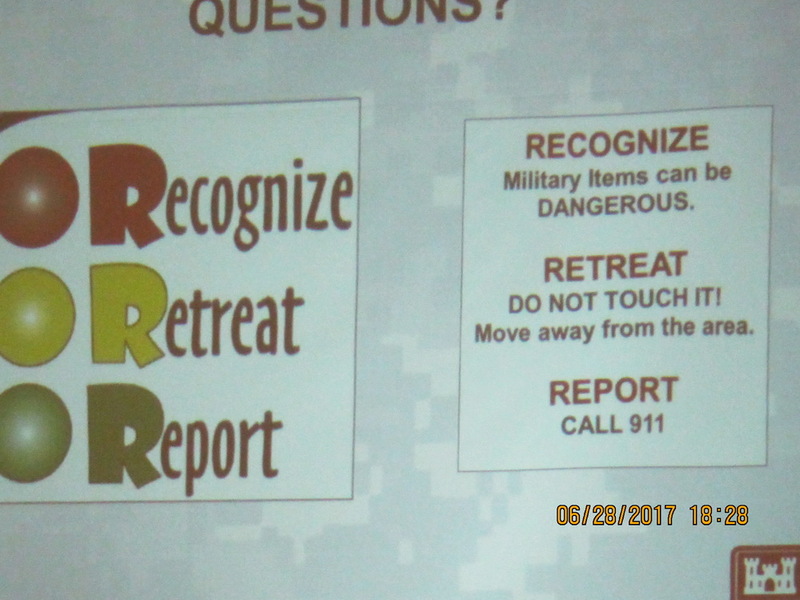 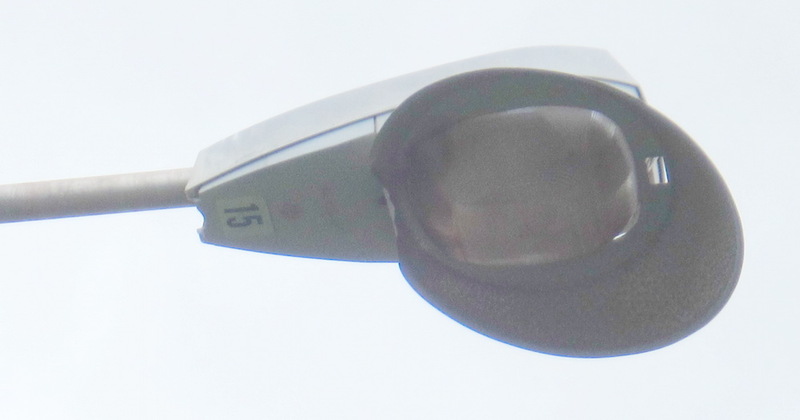 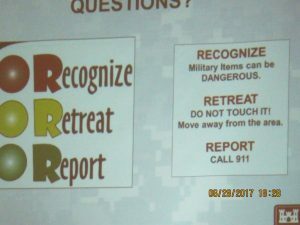 With assist from team member Rowan Tucker, EERG offered a concise informative presentation to the extent that follow up questions were very limited. 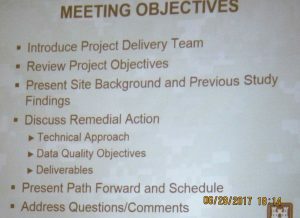 Selected highlights of the presented information follow.